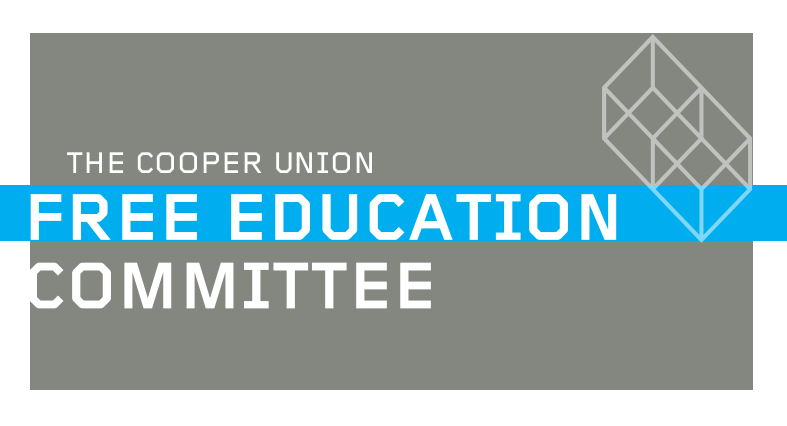 Following the Release of the 2018 Free Education Report, the Cooper Union Community were given the chance to submit questions using this form. Here are questions and answers for the questions submitted following the CUAA/FEC Forum during the fall of 2017. Is the FEC considering options to expedite a return to full tuition scholarships for all undergraduates and graduates at the same time? The FEC is focused on undergraduate scholarships as its top and earliest priority. Our hope is that, once we have achieved sustainable, full-tutition scholarships for all undergraduates, we can work to address funding for graduate students. Are undergraduates as a first priority prior to returning full tuition scholarships for graduates? Answer: Yes, see answer 1 above. Can the FEC indicate what are the current historical averages for the amounts of the various types of school funding contributions, and what if any stretch goal amounts for various types of funding are being analyzed by the FEC? Stretch goals for overall funding will be included in the FEC report/plan. We will be focused on increasing areas that have previously been under-tapped, including foundation and corporate giving, government funding, and major donors, but we need to increase our funding in all areas, including from individual contributors of smaller amounts. Can the FEC elaborate on any school plans for outreach with New York City, New York State, or Federal government officials in order to find additional avenues, or needed proactive collaboration, for improving the school’s finances? Leadership at Cooper Union continues to meet with New York City, New York State, and federal government officials to identify areas in which Cooper Union can continue to contribute to the community and continue to benefit from important public support. Are there any efforts or plans by the school to engage with public government officials or powerful public organizations or icons in order to facilitate any needed compromises for the two major outstanding school loans if there have been difficult obstacles for getting better financing arrangements? We are exploring all possible avenues to a better financial picture for Cooper Union that are responsible and fiscally prudent. The Financial Monitor appointed by the Attorney General of the State of New York commented on the possibility of a refinance/restructure in its February 2017 report. Answer 6: Management and the FEC reviewed various cost and enrollment analyses, including analyses related to international students, the scholarships they receive, and the historical costs associated with recruitment. Any plan the FEC recommends will be a good faith effort, grounded in a number of different factors and dynamics, aimed to restore a sustainable scholarship model in accordance with the the consent decree, the Cy Pres, the Judge’s order, and what we thinks is in the school’s best long-term interests financially and academically. There were no longer any international students at the school. International students, who were enrolled, would not be given full tuition scholarships, but would need to rely on financial support from their own country and families. Are all FEC members aware that the school’s original charter and Peter Cooper’s vision indicated that the school, with its efforts to provide free education for its students “shall be forever devoted to the instruction and improvement of the inhabitants of the United States in practical science and art” and indicated nothing about enrolling students from other countries? This entry was tagged alumni questions, Free Education Committee. Bookmark the permalink.